The book examines some of the dilemmas surrounding Europe’s open borders, migrations, and identities through the prism of the Roma – Europe’s most dispersed and socially marginalised population. The volume challenges some of the myths surrounding the Roma as a ‘problem population’, and places the focus instead on the context of European policy and identity debates. It comes to the conclusion that the migration of Roma and the constitution of their communities is shaped by European policy as much as, and often more so, than by the cultural traits of the Roma themselves. 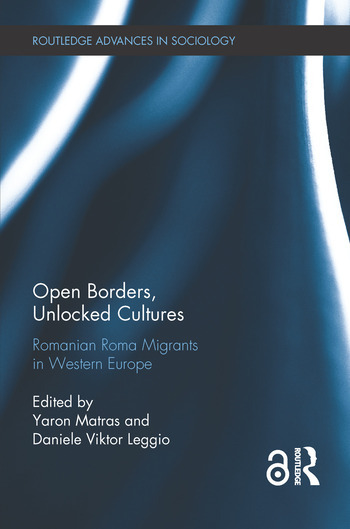 The chapters compare case studies of Roma migrants in Spain, Italy, France, and Britain and the impact of migration on the origin communities in Romania. The study combines historical and ethnographic methods with insights from migration studies, drawing on a unique multi-site collaborative project that for the first time gave Roma participants a voice in shaping research into their communities. Yaron Matras is Professor of Linguistics at the University of Manchester, UK. Daniele Viktor Leggio is Research Associate in the School of Arts, Languages and Cultures at the University of Manchester, UK.